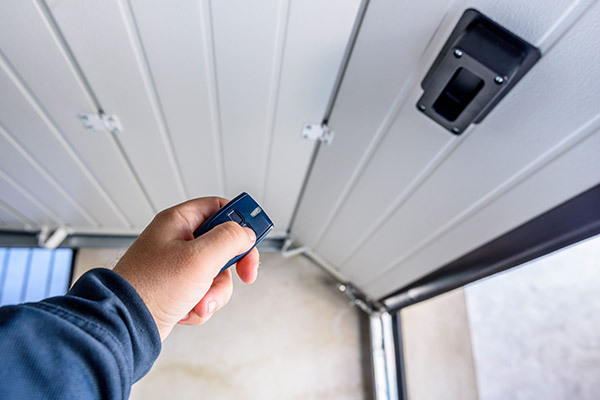 In most cases, the garage door is the most used way entryway to your home, so it’s important that you invest in one that will last for many years to come. Although there are many material options, steel garage doors are the best when it comes to durability, value, security and design. Looking to replace your old garage door? Steel is the way to go as it’s the most common garage door replacement option. Read more to find out 8 reasons why steel garage doors are the right choice for your next home improvement project! Steel is by far the strongest garage door material in comparison to wood, aluminum or fiberglass. It’s resistant to warping and cracking and will hold up through any weather conditions including rain, snow and summer heat. Most steel doors are made of a hot-dipped, galvanized steel that is finished with a polyester coating so your door doesn’t rust or require repainting as often as wood doors. Ever think about why the term “strong as steel” is always used? Well now you know. When choosing a garage door type, you want to get the most out of your money and steel is the best option. It will hold up the best and last the longest. Do you want the modern look of a garage door without the expense? For the budget conscious homeowner, steel is the most cost effective option when it comes to garage door replacement. 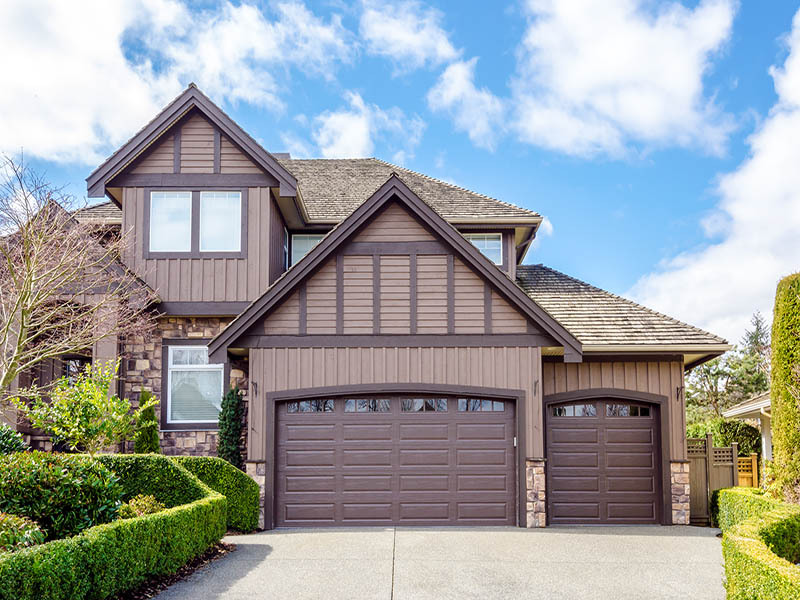 There are many different types of steel garage doors to choose from, but it’s always more budget friendly than installing a wood, vinyl or fiberglass garage door. They’re also a great long term investment because steel doors last an extremely long time. As long as you keep your garage door well maintained, it’ll last a lifetime. If you decide to go with steel garage doors, we guarantee you will not be disappointed! If you choose to go with steel for your garage door replacement option, your home will always be safe and secure. Steel is a thick, heavy-duty metal that protects your home against break-ins or invasions. There’s no need to worry if you decide to go with steel garage doors. Steel garage doors are ideal for any home that wants a more modern look. 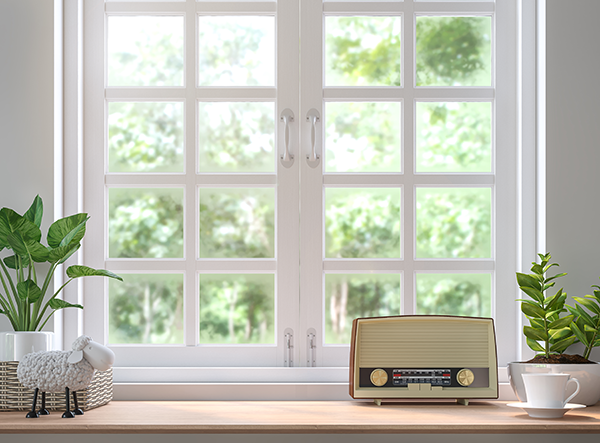 They come in wide range of designs and colors so you’re able to pick a style that complements your home’s exterior. You’re sure to find something that you truly love. There are also options to add glass windows or accent pieces to your steel garage door to give it some extra dimension. If you’re looking to give the exterior of your home a more modernized look, go with steel garage doors. 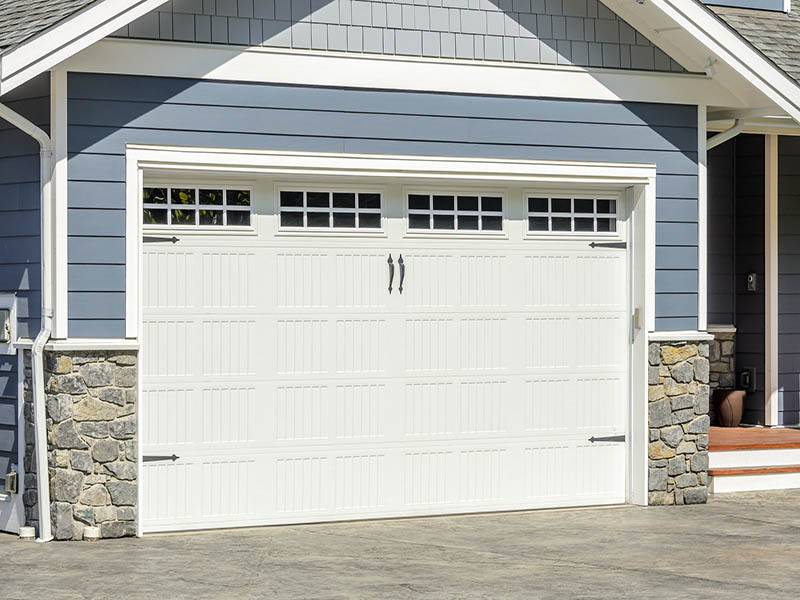 In comparison to wood doors, steel garage doors require much less maintenance. The upkeep required for them is little to none. Once a year, you should clean your steel garage door to remove any dirt that may have built up over time. Other than that, steel garage doors are virtually maintenance free! Did you know that modern steel garage doors today are good for the environment? When it’s time to replace your old garage door, you’re able to recycle it. In fact, many steel garage doors today are constructed from recycled steel while maintaining excellent durability. If energy efficiency and staying green are a priority, steel garage doors are one of the most sustainable options. 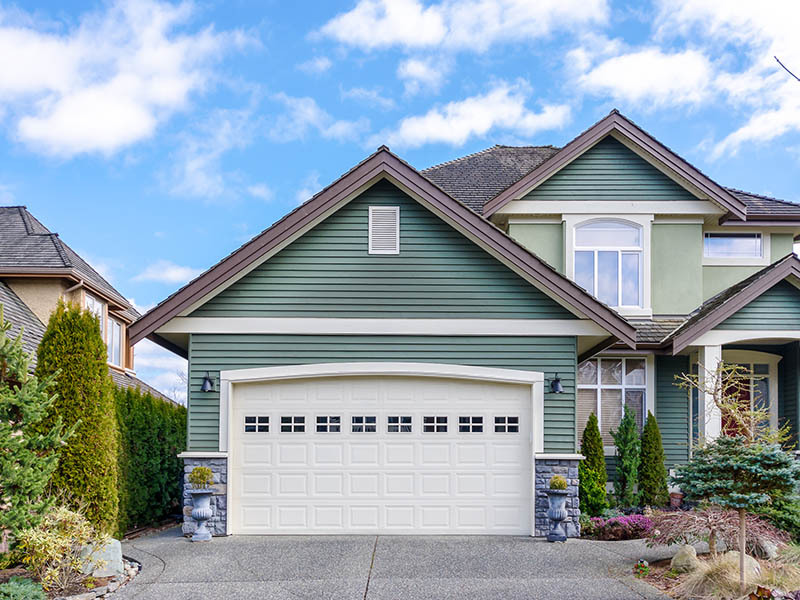 Your garage door is the largest entryway into your home. This means air can easily travel from the outside to the inside. If your steel garage door is properly installed, you can prevent hot or cold air from escaping into your home. Additionally, if you use your garage as a workshop or living space, you want to be comfortable. An insulated garage door is important so the temperature in your garage stays constant. Steel garage doors provide the best insulation as they’re made with a solid foam core that prevents drafts and keeps the cold air out. An insulated steel garage door is essential, especially during those cold, winter months in Madison. There are many options to choose from when selecting a steel garage door. From choosing how many panels you want, different paint colors, windows and more, you’re able to customize the garage door of your dreams. Contains a single layer of galvanized steel. Most economical of all steel doors. Has a polyurethane foam base layer with a galvanized steel skin on the outside to provide additional insulation and soundproofing to the door. Constructed the same as a double-layer door, except with an additional galvanized steel skin on the inside to protect the foam layer from any damage. Triple-layer doors are the strongest, most secure and have the best insulation out of all garage doors. These doors are the most ideal option for your Madison home to protect it from the extreme weather. Also, if you decide to go with steel garage doors, there are two styles from which to choose. Whether you want to go simple or jazz up your garage door, there are options for everyone. Standard steel garage doors are made from a heavy duty gauge steel and are designed for long term durability and energy efficiency. These doors provide wind resistance and insulation to help regulate the temperature in your garage year round. You can choose from many different panel types and sizes to best suit your needs. So what are you waiting for? Start designing the perfect garage door for your home today! Carriage style garage doors are a step above your standard garage door. 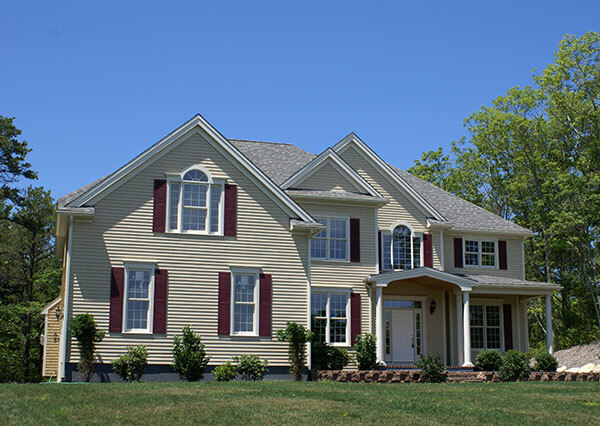 The traditional carriage style look will enhance your home’s curb appeal while providing the best insulation for less noise and increased thermal protection for your home. Carriage garage doors come in several colors, panels and window options to best suit your home’s exterior. They come with additional decorative hardware that also adds to the traditional look. If you’re looking for a garage door with endless style options at a great price, choose carriage style garage doors. Click here to get a free quote today! If you’re in the market for a new garage door, steel garage doors are the best option. They provide a number of benefits including long term durability and the best insulation for your Madison home while offering excellent value for your money. There are also endless design options to choose from to best suit your home. What more could you ask for in a garage door? Get started on your garage door replacement project today!